Director: Michel Hazanavicius. Cast: Jean Dujardin, Bérénice Bejo, John Goodman, James Cromwell, Penelope Ann Miller, Missi Pyle, Beth Grant, Ed Lauter, Bitsie Tulloch, Dash Pomerantz, Ben Kurland, Ken Davitian, Basil Hoffman, Joel Murray, Malcolm McDowell. 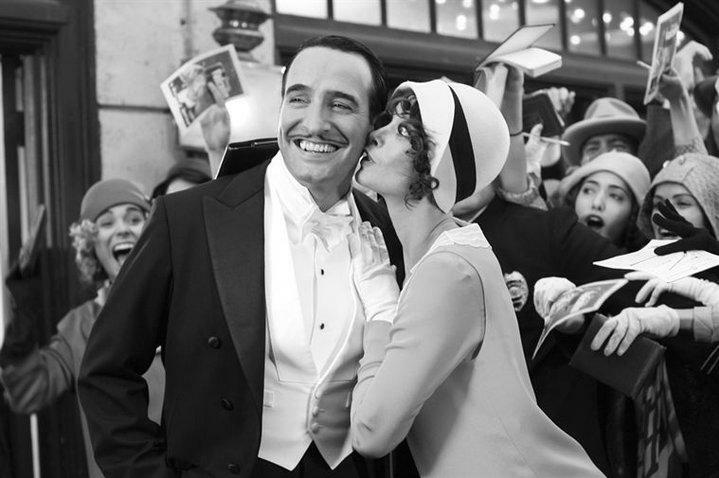 Screenplay: Michel Hazanavicius. Twitter Capsule: An enchantment, so witty and warm in first half. Settles for just warmth in second, but I'd see it twice. Wiss plezhur.